In January 2010 William McCallum, one of the authors of the Common Core Math Standards, spoke at a national mathematics conference in San Francisco. 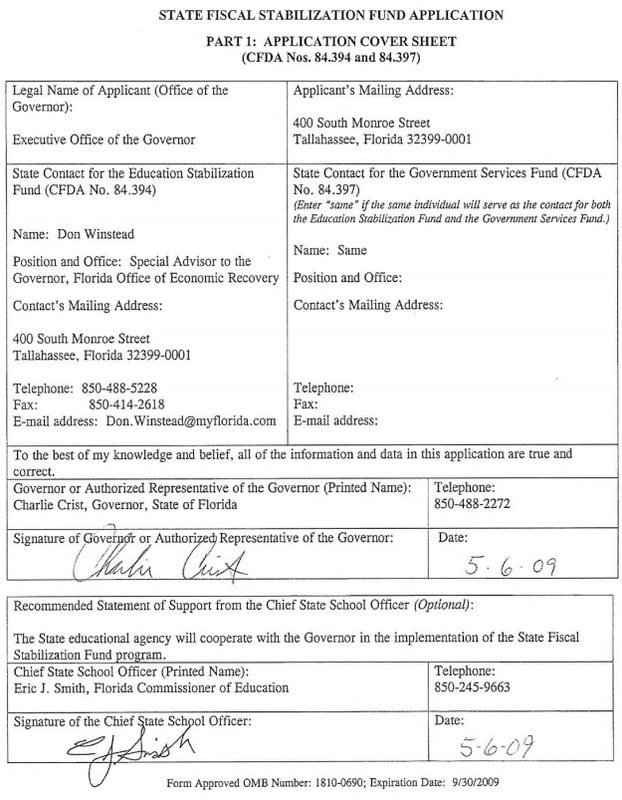 In response to questions and concerns about the compressed schedule for developing the math standards, a schedule that did not allow for pilot testing or normal editing, Mr. McCallum told his audience that his “bosses,” the National Governors Association Center for Best Practices and the Council of Chief State School Officers, were being “pressed by U.S. Secretary of Education Arne Duncan who was using the possibility of getting Race to the Top money as leverage to force states to commit now to adopting uniform standards.” He told his audience that states were committing to the adoption of the standards “sight unseen.” Credit: Suzette... Thank you. This sentence is among the most repeated pitch lines of those selling Common Core. It is an effective sales pitch, but is it true? The answer lies in the maze of money and regulation tying federal and state departments of education together. Let’s start with the money. The money is always the carrot that the federal government offers the states. 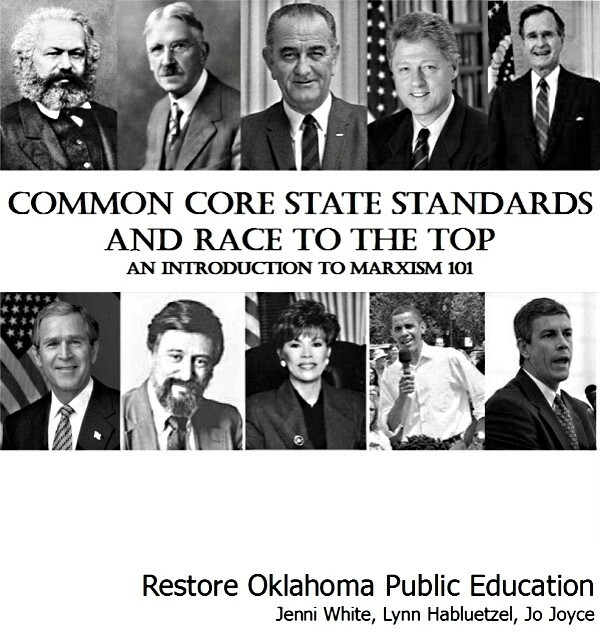 The money trail for Common Core begins in 2009, with the passage of the American Reinvestment and Recovery Act, commonly called the Stimulus Bill. Quoted from Article, "$4.35 billion was set aside for the Race to the Top initiative".............Refer to Title XIV State Fiscal Stabilization Fund, SEC. 14001. ALLOCATIONS. 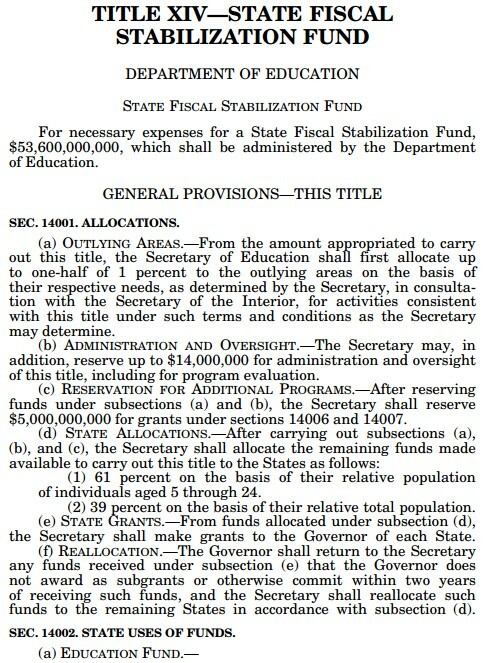 section (c) RESERVATION FOR ADDITIONAL PROGRAMS.—After reserving funds under subsections (a) and (b), the Secretary shall reserve $5,000,000,000 for grants under sections 14006 and 14007. 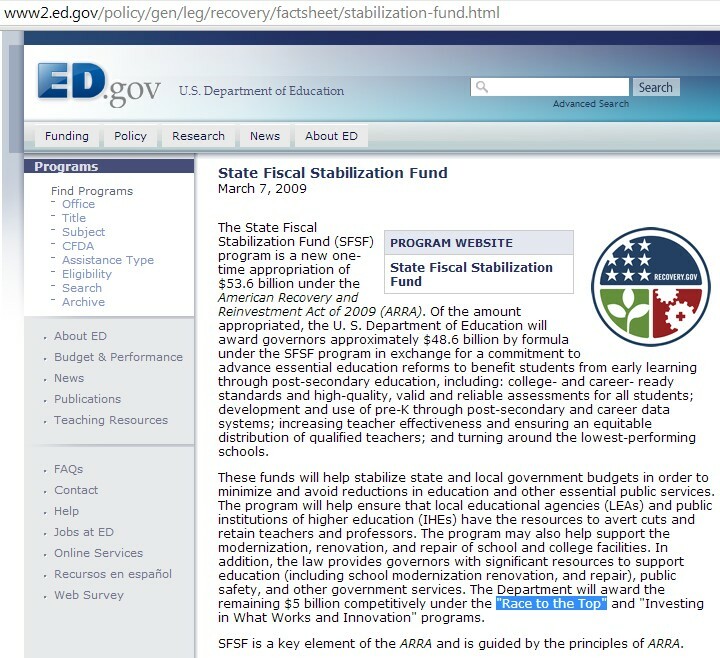 American Recover and Reinvestment Act of "2009" - HR "1"
American Recover and Reinvestment Act of "2009"
Among the bill’s many provisions was a $53.6 billion appropriation to the U.S. Department of Education, called the State Fiscal Stabilization Fund. Of that amount, $4.35 billion was set aside for the Race to the Top initiative. 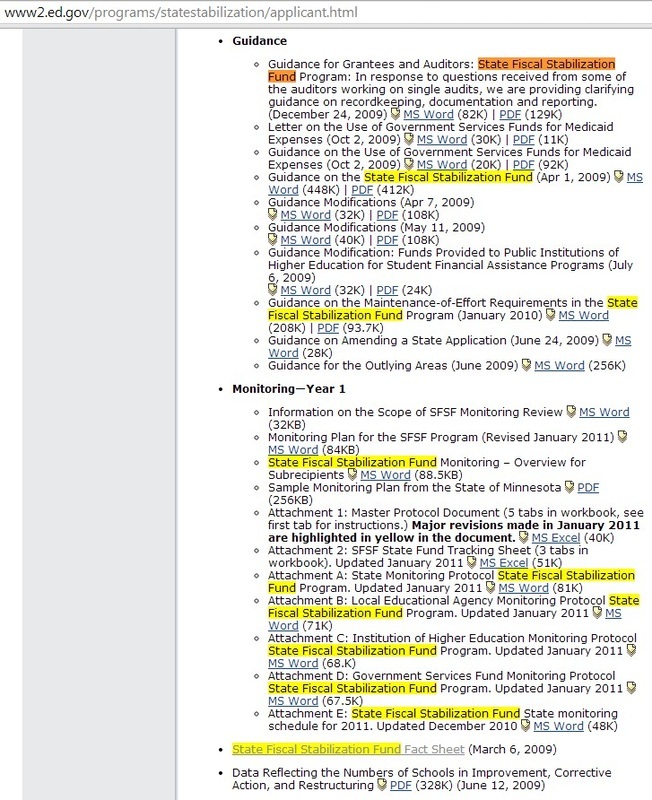 States had to access the funds in a prescribed order. First was the Stabilization fund program. If you have any questions or concerns, please e-mail them to:State.Fiscal.Fund@ed.gov. 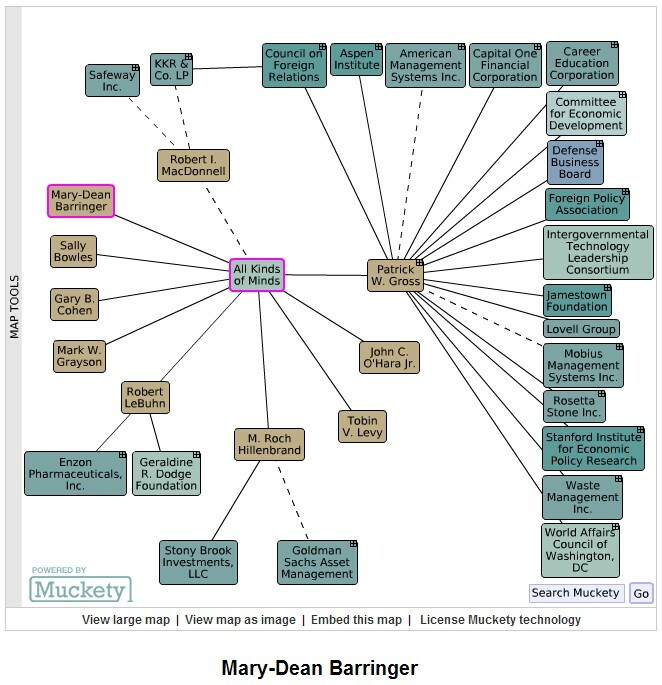 The America Creating Opportunities to Meaningfully Promote Excellence in Technology, Education, and Science Act of 2007 or America COMPETES Act was authored by Bart Gordon and signed by President Bush; it became law on 9 August 2007. This was an Act, "To invest in innovation through research and development, and to improve the competitiveness of the United States." On 29 May 2010, the U.S. House passed a measure to reauthorize the America COMPETES Act. 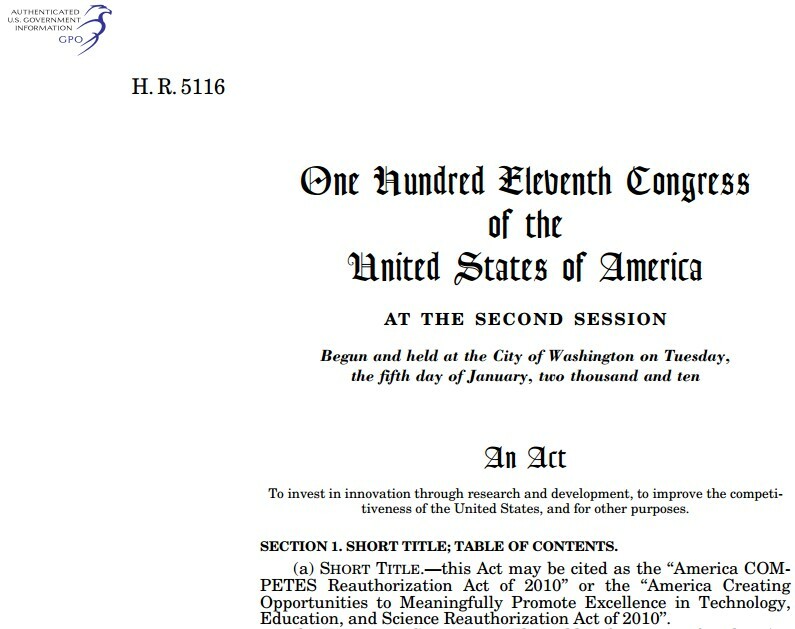 On 22 July 2010, the U.S. Senate's Committee on Commerce, Science, and Transportation approved the America COMPETES Reauthorization Act of 2010 and sent it to the Senate for a vote. 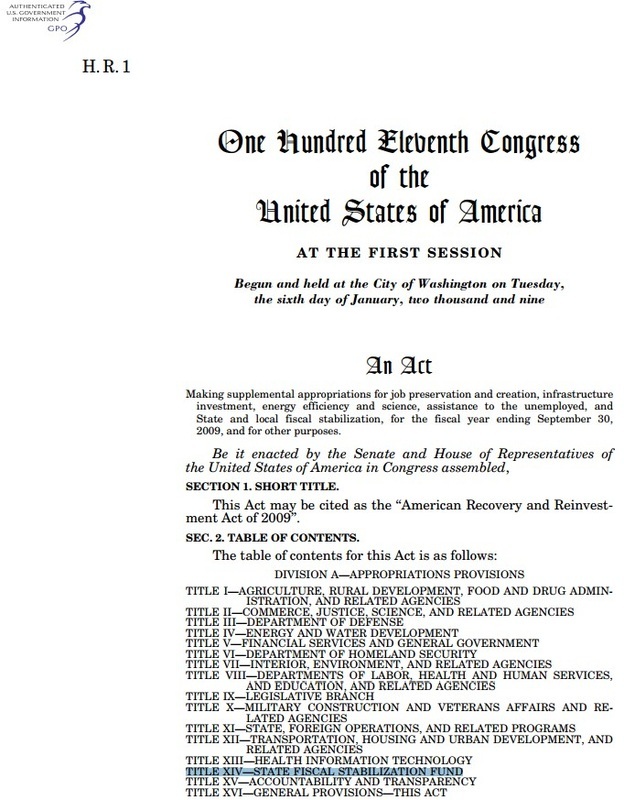 On 4 January 2011, President Obama signed into law the America COMPETES Reauthorization Act of 2010 (P.L. 111-358). 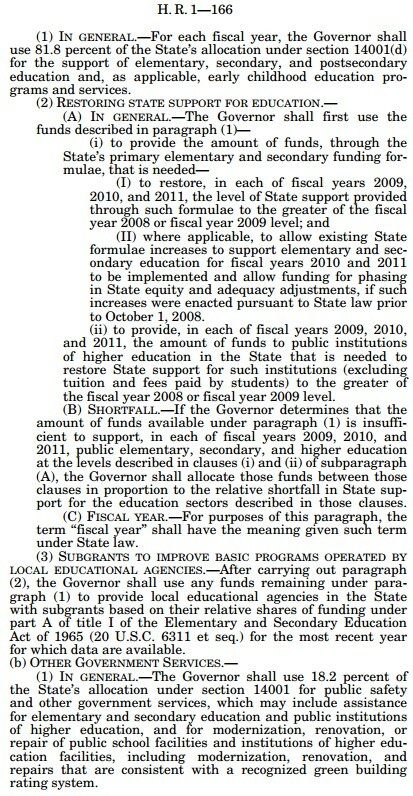 and as part of their application for Stabilization funds the states had to sign an assurance page that specifically required them to align their state programs to the language of that federal law. States who had successfully completed the Stabilization grant process could then compete for Race to the Top funds. What is Race to the Top abbreviated R2T, RTTT or RTT? This requirement was explained in question A-4 of Race to the Top Guidance and Frequently Asked Questions, published by the U.S. Department of Education on May 27, 2010. Race to the Top was a competition grant process. States were awarded points based on how closely they conformed to the desires of the federal Department of Education. 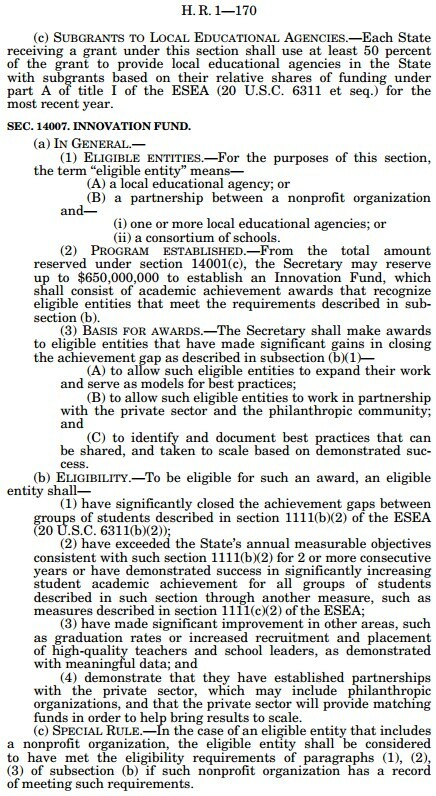 In the case of the Common Core State Standards, Section (B)(1)(ii) of the Race to the Top grant application clearly outlined the federal requirements. States would be awarded up to 40 points depending on their commitment to adopting a common set of standards by the federal deadline of August 2, 2010. Under Race to the Top, states could add to the common standards, provided that the additions were not more than 15 percent of the total, but they could not subtract or change any of the standards. 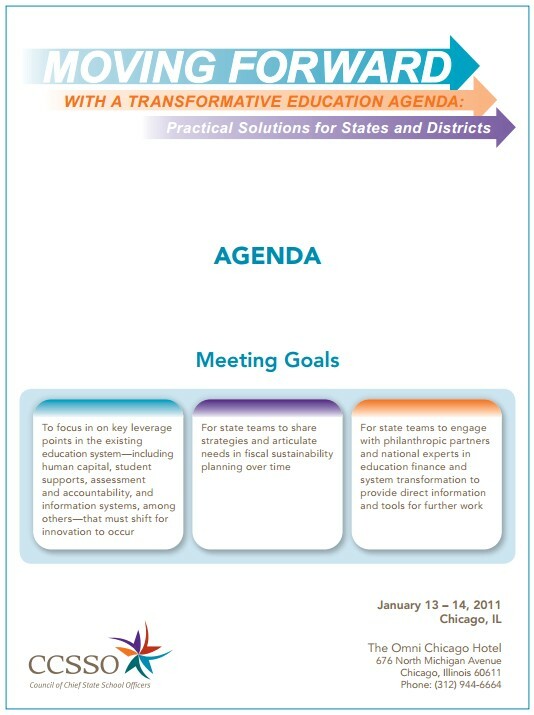 In Pennsylvania’s Race to the Top Phase Two grant application, submitted in May 2010, the State Board of Education told the federal government that if they received the standards by June 2, 2010, they would adopt them by July 1, 2010. They kept that promise, tying every public and charter school student in the Commonwealth to standards that they had not even seen when they made the commitment. 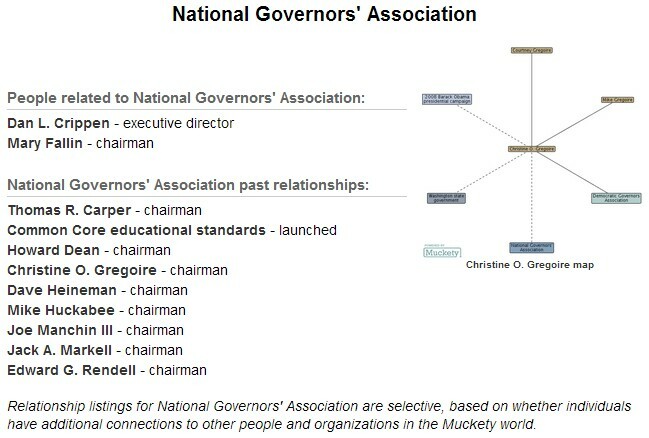 A visit to the web site for the Common Core State Standards, reveals that the standards are the copyrighted property of the NGA Center for Best Practices and the Council of Chief State School Officers, and may only be used if a public license is obtained. The same web site states that every user of the standards must acknowledge this ownership, except states. States are exempted from sharing this information with their citizens. So the money in the federal State Fiscal Stabilization Fund and Race to the Top were the carrots. What was the stick? The stick was federal regulation. And it was a big one. Federal regulations implementing No Child Left Behind required every state to prove that 100 percent of its students were proficient in reading and math by the end of the 2013-2014 school year, with substantial penalties for failure to demonstrate that it had attained this impossible goal. 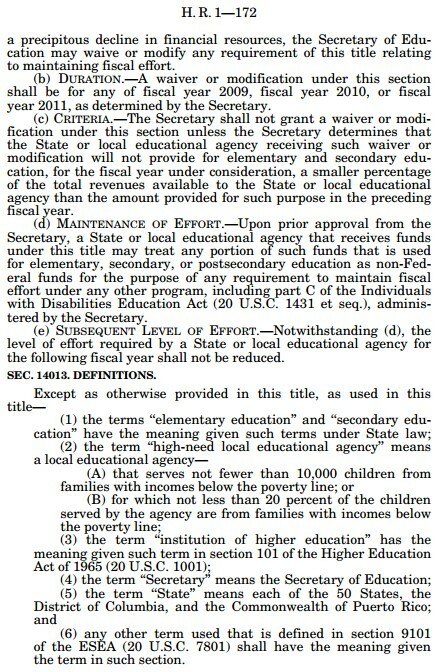 The U.S. Department of Education has allowed states to apply for flexibility from these requirements. Section C of ESEA Flexibility Frequently Asked Questions, dated August 3, 2012, tells the states that to receive this flexibility, the state must prove to the federal government that it has formally adopted college and career ready standards. The federal Department of Education is the sole judge of whether or not the state has adopted adequate college and career ready standards. An examination of ESEA flexibility requests from across the country reveals that even states that did not apply for Race to the Top money, such as Texas and Virginia, were required to show how their state’s educational programs were aligned with the Common Core State Standards in order to be granted flexibility. So even the states that did not take the carrot found themselves confronting the federal stick. “State-led initiative” may be a wonderful sales pitch for those promoting Common Core, but an examination of the facts reveals that the reality does not match the marketing. Truth in American Education What States Have Pulled Out of their Common Core Assessment Consortium? 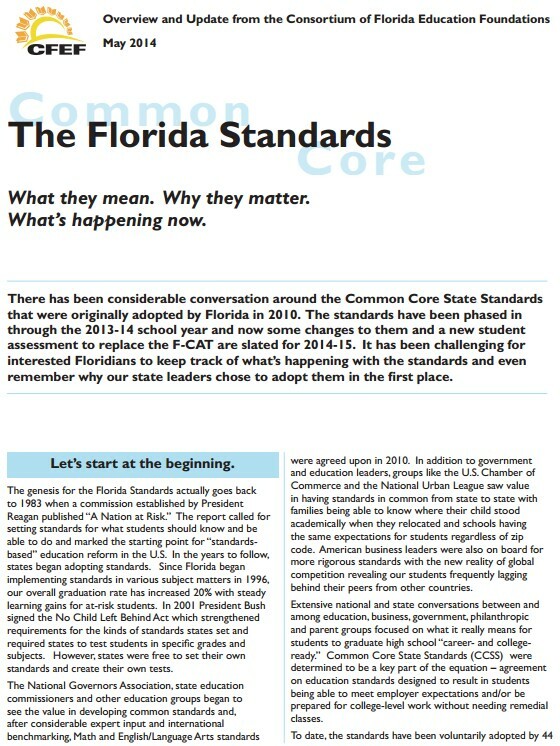 2012: States begin to recognize the loss of local control and enormous cost of implementation of the Common Core Standards. Many states begin pushing back. 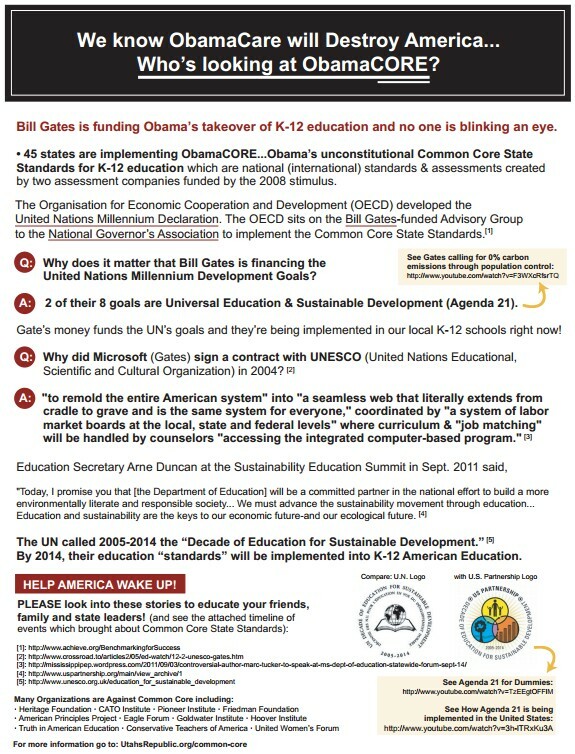 The Heritage Foundation and the Cato Institute call the standards unconstitutional per federal education law. 1. 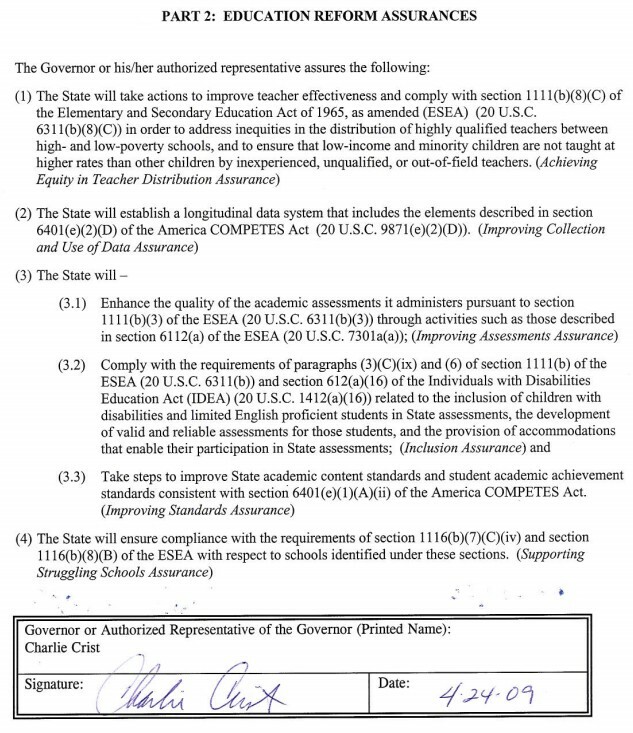 The Governor of Utah has signed Utah on as a governing member of Smarter Balanced Assessment Consortium (SBAC)( http://www2.ed.gov/programs/racetothetop/phase2-applications/appendixes/utah.pdf - see page 301) whose assessments include psychometric attribute testing of our children. 2. Membership in SBAC obligates us to work in consensus with 30 other states thus eliminating local control of Utah education. 3. There are only two organizations, SBAC and PARCC (Partnership for Assessment of Readiness of College and Careers), creating assessments for the standards and those groups were funded by the Federal Government. 4. Utah, along with other states didn’t officially adopt Common Core until being incentivized through the Federal Race to the Top (RTTT) grant process. EVIDENCE: States were given more points for “raising standards” and also for joining a group of states to create assessments. 5. 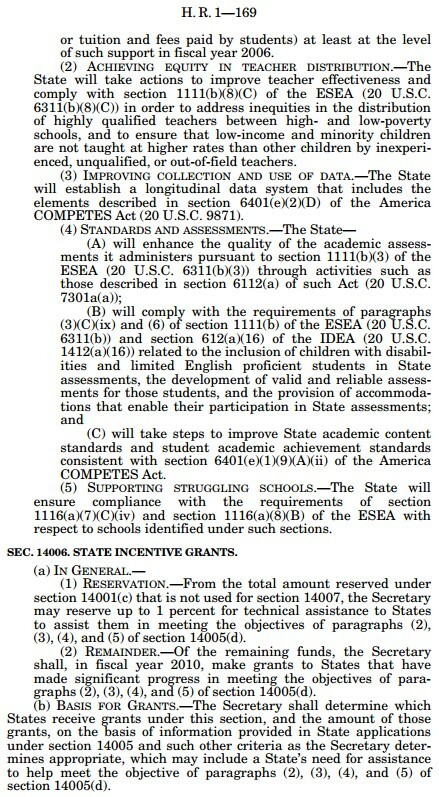 Nearly at the same time as the above RTTT, the Federal Government announced additional incentives with the Race to the Top for Assessments (RTTTA) Funds requiring states to join with other states and create common assessments and standards to receive the prize. 7. The Utah State School Board recognized Common Core Standards as National Standards from the beginning as is noted in the State School Board Minutes from April 2009. 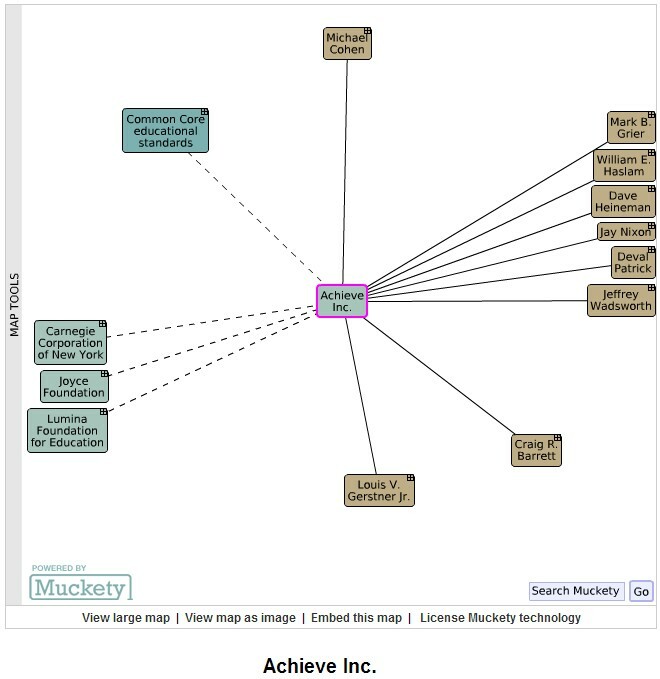 EVIDENCE: “WestEd which is an arm of the US Department of Education has askedfor some that are in that [American Diploma Project ADP] to come together to create some common standards. All is coming to a peak moment with the stimulus package for national common standards. On April 17 Board Leadership has approved her [Superintendent Harrington] travel to visit with CCSSO and the expectation is that Utah might sign a Memorandum of Understanding that we might begin the dialogue. It will not commit her [Superintendent Harrington] or the Board but would add Utah to the states that are interested in understanding on how we might develop common standards. 8. The Utah State School Board hastily and negligently signed our state up for the Common Core Initiative which included SBAC in an effort to receive money from a Federal grant. A rising number of teachers, parents and taxpayers are expressing concerns about Utah's adoption of the Common Core Initiative (CCI), its accompanying federal standards for states (CCSS) and its federally overseen and controlled testing arm (SBAC). Why? 1. Utah did not seek out CCI; the initiative was presented as an eligibility enhancement by the U.S. Department of Education in its The Race To The Top grant. 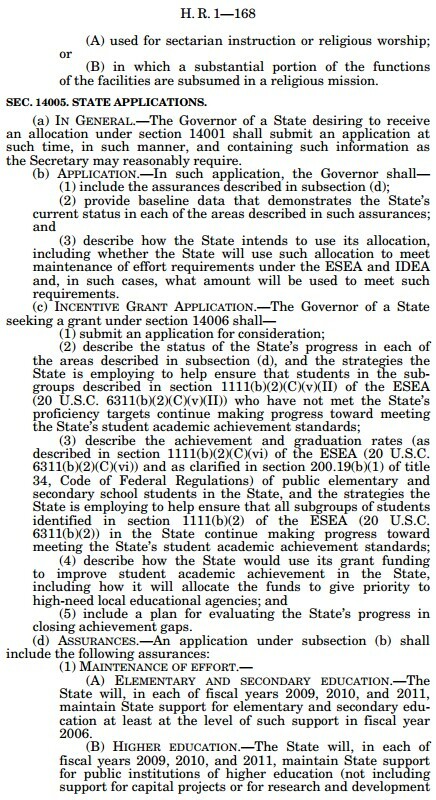 Joining the SBAC, too, improved eligibility in the grant application. When Utah agreed to join the CCI and SBAC in 2009, the standards had not yet been written. Utah joined both the CCI and the SBAC to win points toward getting the grant, and although Utah won no money, the extremely expensive and educationally restricting consequences of having agreed to sign up for CCI and SBAC remain. 3. 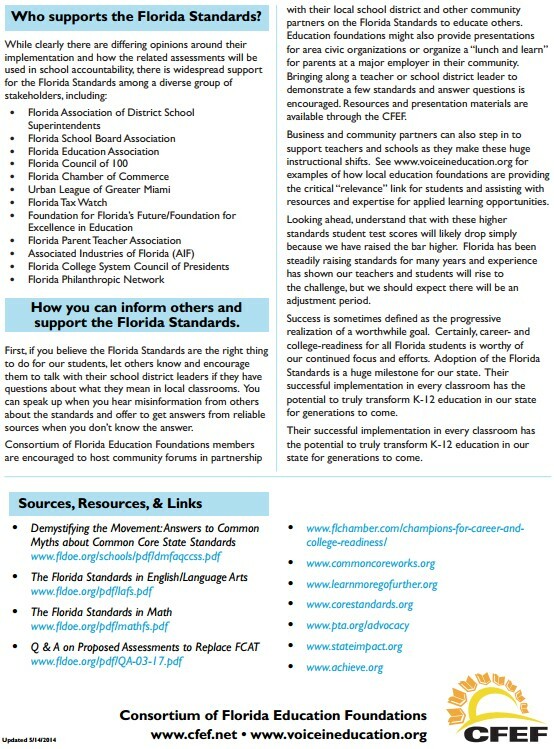 There is no amendment process for the CCSS (federal standards) and withdrawing from the SBAC requires federal approval. Right now there is now a window of opportunity for Utah to sever the ties that bind us to CCI and SBAC; if we wait, the state will be too financially invested and legally entangled to withdraw. Withdrawing from the SBAC requires not only Utah's, but also the consortium's, and also federal, approval. 4. There has been no cost analysis, legal analysis, legislative input or public input regarding CCI/SBAC. Implementation of CCI has already begun in Utah schools; full implementation of the initiative and its tests will be completed in the 2014-2015 school year. An independent think tank in Massachusetts states that the cost over the first 7 years to states will be 16 billion dollars, or over 200 million per state, on top of regular educational needs. The Congressional Budget Office was not asked to do a cost analysis because asking would have pointed out that this was not a state-led initiative, contrary to the claims of its proponents. States' commitments to CCI require billions of dollars in implementation and maintenance spending, money that competes with already-stretched educational budgets. 5. The Common Core initiative represents an overreach of federal power into personal privacy as well as into state educational autonomy. There will be personal student information collected via the centralized testing-data collection, accessible to the Executive Branch. This individualized data collection includes both academic and psychometric data about children, which is illegal in Utah. EVIDENCE: SBAC assessments' inclusion of psychometric testing is a violation of Utah law per code section 53A-13-302. Both of the CCI's testing arms (SBAC and PARCC) must coordinate tests and share information "across consortia" as well as giving the U.S. Department of Education phone responses, written status updates and access to information "on an ongoing basis." Data will be triangulated with control, oversight and centralization by the Executive Branch (U.S. Dept. of Education). 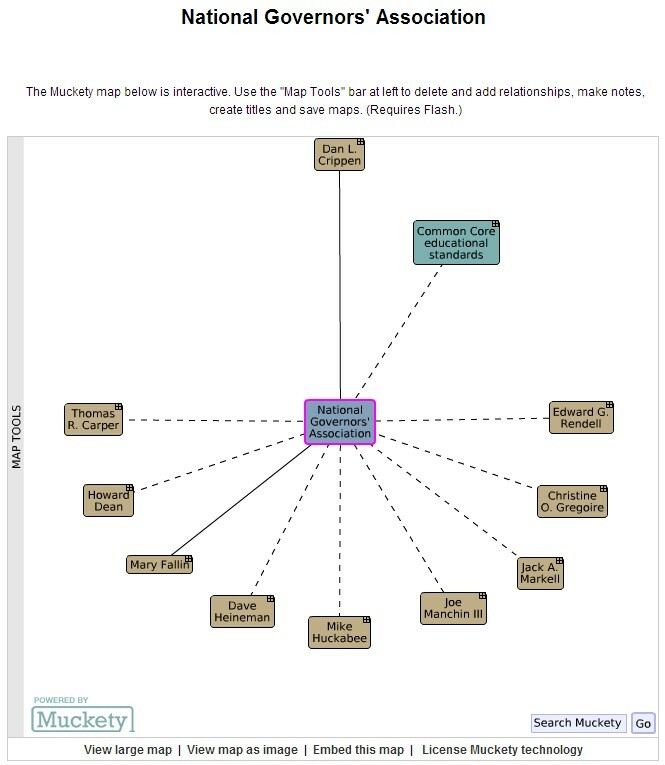 The U.S. Department of Education (through the America COMPETES Act, the American Recovery and Reinvestment Act, and the Race to the Top competition) has required the states to develop massive databases about school children. The Department has eviscerated the Family Educational Rights and Privacy Act (FERPA) by issuing new regulations that allow nonconsensual tracking and sharing of this personal data with other federal agencies, with government agencies in other states, and with private entities. 6. Utah has ceded her voice and educational sovereigntybecause Utah's top educational leaders are persuaded that having standards and testing in common with other states matters more than holding onto the state's right to raise standards sky-high. To Utah education leaders, the right to soar seems a freedom not worth fighting for, and maintaining state educational sovereignty is not a priority. 7. The effort to nationalize and centralize education results in severe loss of state control of education and pushes states into a minimalist, common set of standards. Dr. Sandra Stotsky, an official member of the CCSS Validation Committee, refused to sign off on the adequacy of the standards and testified that "Common Core has yet to provide a solid evidentiary base for its minimalist conceptualization of college readiness--and for equating college readiness with career readiness. Moreover… it had no evidence on both issues." 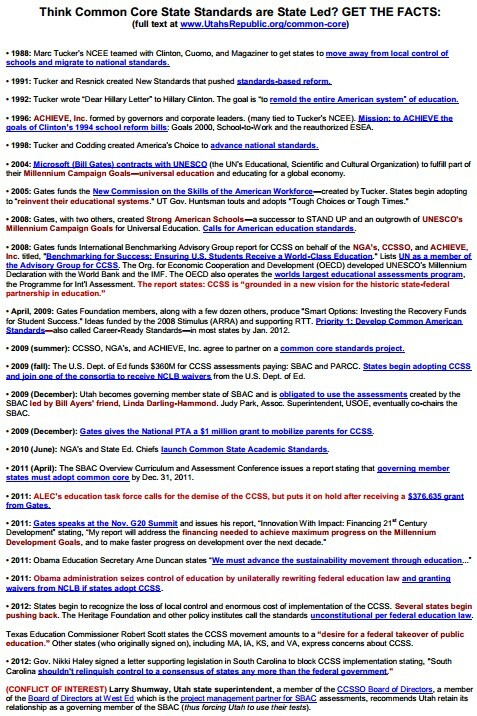 The Common Core standards are experimental, expensive, controversial, and have not been piloted. Common Core standards are not considered among the best standards in the nation, and there are clearly superior standards. Additionally, the CCI robs states of the sovereign right to raise state standards in the future. There's no provision for amending the CCSS federal standards, were we to choose to still remain bound by them. The Common Core English standards reduce the study of literature in favor of informational texts designed to train children in a school-to-work agenda. The unsophisticated composition of those selected to write the Common Core Standards and the lack of transparency about the standards-writing process also raises concerns. CCSS states a goal to promote “career and college ready standards,” a euphemism for “school-to-work” programs, diluting individual choice by directing children where to go and what to learn. They make no distinction between 2-year, 4-year or vocational standards. 8. Common Core has not proven to be state-led nor strictly voluntary; the U.S. Department of Education Secretary rages against states who reject the Common Core Initiative. When South Carolina Governor Haley backed away from the “voluntary” CCSS, she drew a sharp response from Arne Duncan, the federal Secretary of Education. Duncan also publicly insulted all Texas students on television, saying "I feel very badly for Texas school children," following Texas Governor Perry's refusal to join the CC initiative. (Yet Texas math standards are higher than Common Core standards.) 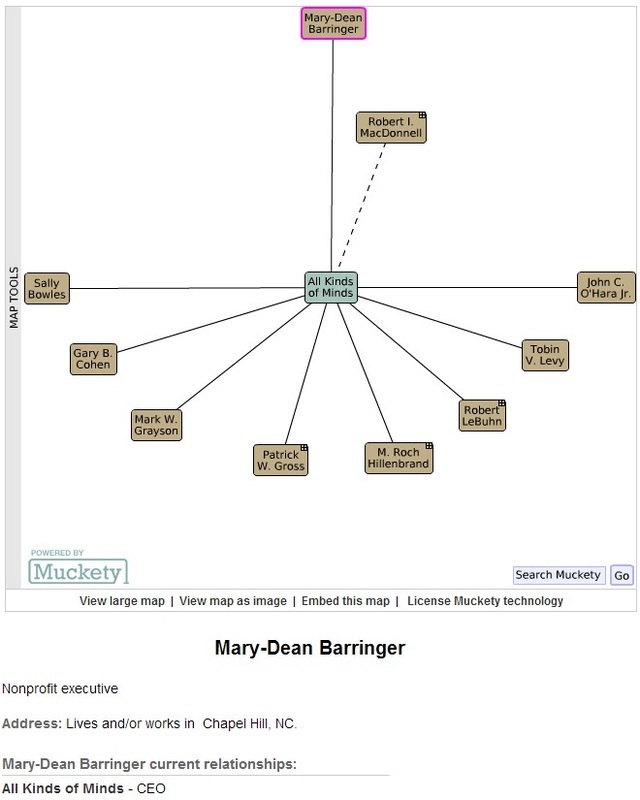 Messages in public letters from Duncan to Utah leaders conflict with multiple, legally binding documents signed by his team at the U.S. Department of Education. EVIDENCE: Utah's State School Superintendent admits that theU.S. Dept. 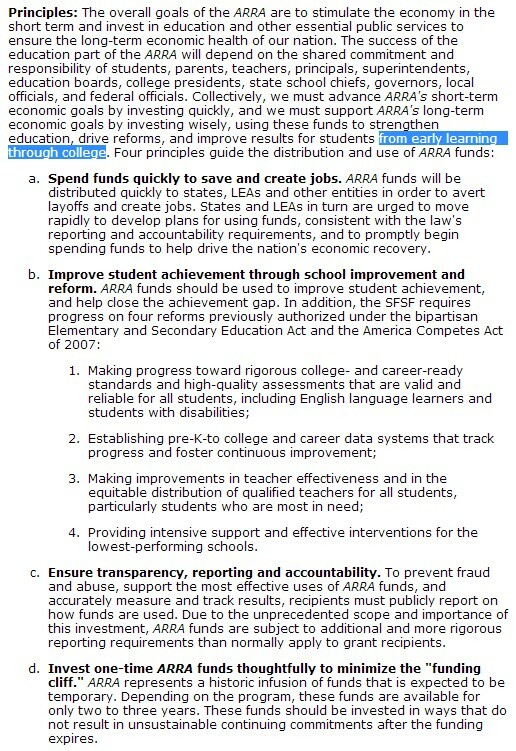 of Education is already putting requirements on the state of Utah associated with the Common Core standards. 9. 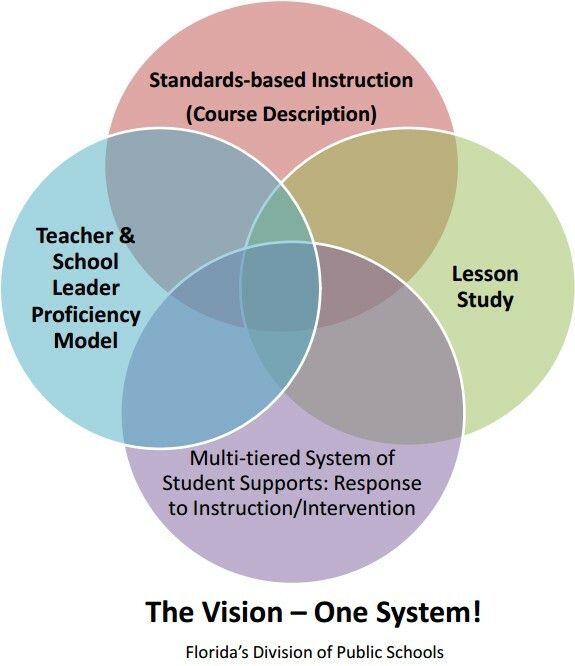 The Common Core Initiative, far from being state-designed, is the product of the U.S. Department of Education funding and directing special interest groups (NGA, CCSSO, NCEE, Achieve, Inc., WestEd, and others) via federal grants. 10. The Common Core Initiative violates fundamental laws that protect states' independence. Several national laws state that the federal government may not exercise any control of educational decisions. 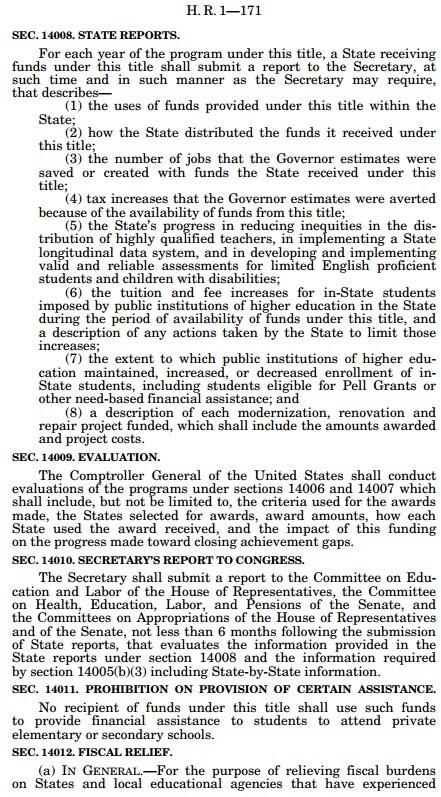 But the Federal Government’s creation of national curricular materials, through contractors, and its control and oversight of testing and data collection, and its tests written to federal, nationalized standards, are in violation of three existing laws: NCLB, the Department of Education Organization Act, and the General Education Provisions Act; States have a responsibility to protect the balance of powers granted in the Constitution. Utah has the responsibility to protect its rights to make educational decisions without federal input or control. 11. Transparency and public debate about Common Core are lacking. Utah educational leaders have a responsibility to encourage public discussion and lively debate about Common Core, because the initiative will impact children, taxpayers and teachers for a long time to come. A spiral of silence has descended upon Utah educators, many of whom fear losing their jobs if they speak up against Common Core. There is intense pressure to agree with Common Core Initiative at the State School Board level as well. Applicants for School Board membership must take a survey before the Board selects its pool of potential candidates. The survey asks: "Do you support Common Core?" How could one with a differing view ever be elected? MOU = Memorandum of Understanding This is Utah specific but is the same for all states. 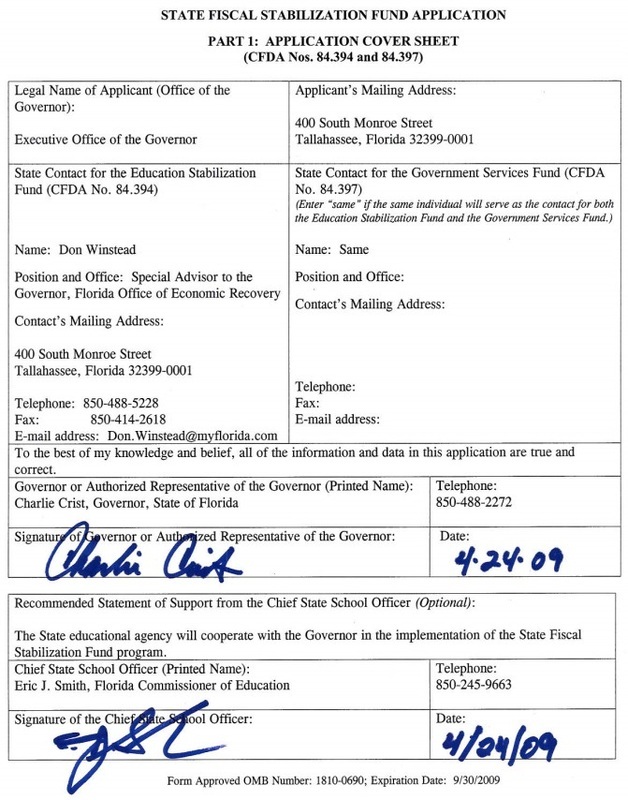 Can the U.S. Department of Education (USED) demand repayment from states that got RttT funds? Can it withhold Title I money from a state that loses its waiver? It is important to recall that Congress didn’t pass legislation requiring Common Core’s standards or tests. All it authorized in 2001 was a re-authorization of the Elementary and Secondary Education Act (ESEA) called No Child Left Behind (NCLB). ESEA hasn’t been re-authorized since then, so there are no new or different education policies passed by Congress. A variety of conditions have been attached to the recent waivers issued by USED, but they may have no constitutional legitimacy since Congress didn’t approve them. States can certainly raise that objection. 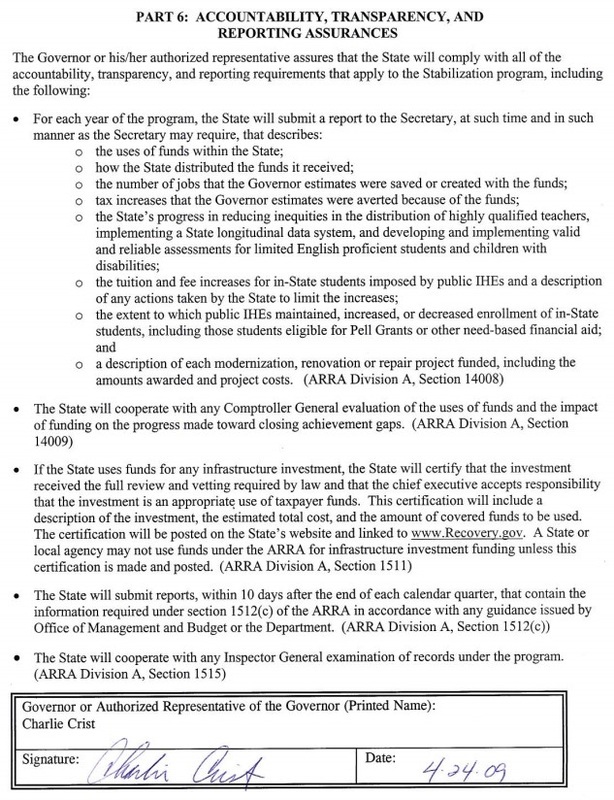 If a state received RttT money and spent it, it most likely doesn’t have to pay it back if it now seeks to opt out of using Common Core’s standards (by any name) and any tests aligned to or based on these standards. Neither the RttT application nor the grant award from USED contained a repayment penalty for withdrawing from a commitment. Moreover, the Grant Award Notification from USED implied withholding of future RttT funds, not repayment of RttT funds already expended. In other words, there seem to be no likely penalties if a state accepted a USED award of RttT funds and now chooses to withdraw from the agreement. States can justify their withdrawal on the grounds that the Common Core standards do not meet the original requirements of “common standards” outlined in the RttT application. These standards were supposed to be “supported by evidence that they are internationally benchmarked.” But they are not. The Common Core Validation Committee never received any evidence. Nor has evidence been provided by two post hoc attempts to provide such evidence: the 2011 report by David Conley at the University of Oregon and the 2012 report by William Schmidt and a colleague at Michigan State University, Richard Houang. Conley’s report, funded by the Gates Foundation, contradicted the findings in his 2003 pre-Common Core report on college-readiness standards, while Schmidt and Houang’s report has been severely criticized on methodological grounds. It is unclear who funded it. Moreover, RttT was a three-year program extended to last four years. It expires in the fall of 2014. Whatever changes states make after 2014 cannot affect the grant. In addition, no state committed itself explicitly to maintain forever the new policies required by RttT. Once RttT grants expire, it is unclear how the USED could demand repayment for an expired program. If a state obtained a waiver from some aspects of No Child Left Behind (NCLB) and now seeks to opt out of using Common Core’s standards and tests aligned to or based on them, it is highly unlikely to lose Title I money. 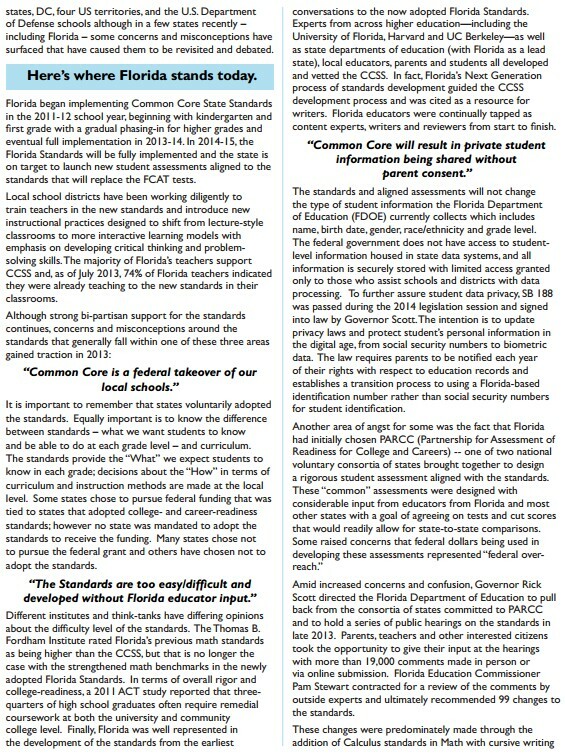 Title I is implicated in the Common Core issue only because the state committed to the CCLS to obtain the waiver. If the state applies for an extension of the waiver through the 2015-2016 school year, it would need to replace its commitment to implement the Common Core with a commitment to implement alternative standards approved by its institutions of higher education (IHEs). IHE approval of more demanding “college- and career-ready” standards would allow the state to retain the waiver, without penalty. Legislators need to ask their public IHEs to approve standards that enable mathematically and scientifically ambitious high school students to take STEM-preparatory coursework while in high school, not in transition courses elsewhere after high school graduation or after passing a GED test. If the US Department of Education (USED) decided to be punitive, it could withhold at most only 5%-10% of the 1% of Title I funds set aside for state administrative functions. For example, if a state received $200 million under Title I, the administrative set-aside is $2 million. The most severe federal punishment would be 5-10% of that, or a maximum of $200K. If the state chose to give up its waiver, the state would be under the NCLB mandate again to get all students to proficiency by 2014. NCLB has a range of sanctions for persistently failing schools and districts, ranging from conversion to charter schools, closing the school down altogether, replacing a large percentage of the school’s staff, to carrying out turnaround plans. If states give up their USED waivers from NCLB requirements, they would still have to assess their state’s standards annually with tests that, by law, must be based on these standards, and NCLB’s sanctions would again apply for failing schools and districts. It is not clear what the sanction would be for failing to get all students to proficiency by 2014, that is, if most schools failed to achieve Adequate Yearly Progress (AYP) for all subgroups. The primary financial consequence of relinquishing the waiver would involve flexibility, not amount, of funding. Under NCLB, failing schools must allocate 20% of their Title I funding to Supplemental Education Services, typically outside tutoring. 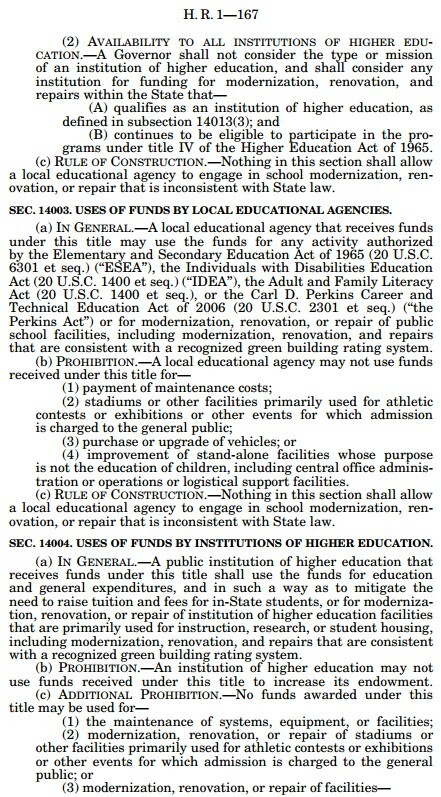 The waiver doesn’t change the amount of funding those schools receive but allows them to redirect 20% of it to other Title I uses. These districts would lose flexibility, not money. USED would find it politically difficult to impose financial penalties on waiver cancellation when Common Core is not, in theory, a federal program. Or so we are regularly told. Districts can select their own curricula and, in some states, their own standards. What they cannot do easily is avoid state testing. State tests operate under state laws which force all districts to participate, although sanctions vary by state. Typically, the results of these tests are used to rank or grade schools publicly, and they serve to label the schools as meeting or not meeting NCLB’s requirement of proficiency. A district with a stronger curriculum than one addressing Common Core’s standards is betting implicitly that its results will be better on the state test. If schools choosing to address more demanding standards than Common Core’s are ranked low on a Common Core-aligned test for several years, they may face state department of education sanctions, which can range from the state managing the district to reshuffling school administrators. Legislators can address this power play by withholding funding of the state’s department of education if it seeks to prevent schools with low scores on a Common Core-aligned test from addressing more demanding standards than Common Core’s. All the district should be required to do is produce evidence of evaluations showing that its standards are more demanding than Common Core’s. A future post will further address districts that want better standards and tests than their state board and department of education are imposing on them. Sandra Stotsky, Ed.D. is Professor Emerita, University of Arkansas. PLEASE Check Out These Website . . .